This report provides an analysis of the impact of a range of corrupt practices on economic growth and development in four key sectors: utilities and infrastructure, extractive industries, health and education. As quantification of the impact of corruption on economic growth at a macro level remains challenging, this report presents evidence at the micro and sectoral level to capture the various consquences of this phenomenon. 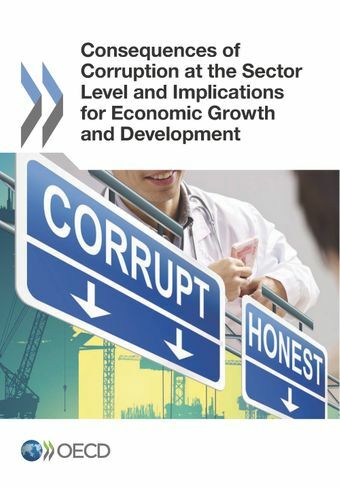 Prepared by the OECD as a contribution to the G20 efforts to fight corruption, this report aims at increasing the understanding of the channels by which corruption inhibits economic growth and assist countries in further integrating anticorruption in their efforts to foster inclusive, sustainable growth and development. Drawing lessons from the cross-cutting analysis, the report encourages countries to design comprehensive anti-corruption strategies for which progress could be measurable and which would be tailored to specific country circumstances and economies to achieve the best results for economic growth and value-for-money.